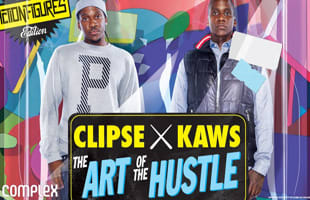 Clipse is a Virginia Beach, Virginia-based hip hop duo. Formed in 1992 by brothers Malice and Pusha T, the group is heavily affiliated with production team The Neptunes and signed to Star Trak Entertainment. As of late Malice found religion, while Pusha T continues to grind, working closely with Kanye West. This group made some classic material when they were together.